Samantha Power speaks at the White House in 2014. Power, who served as the former ambassador to the United Nations, will speak on campus on Oct. 2. 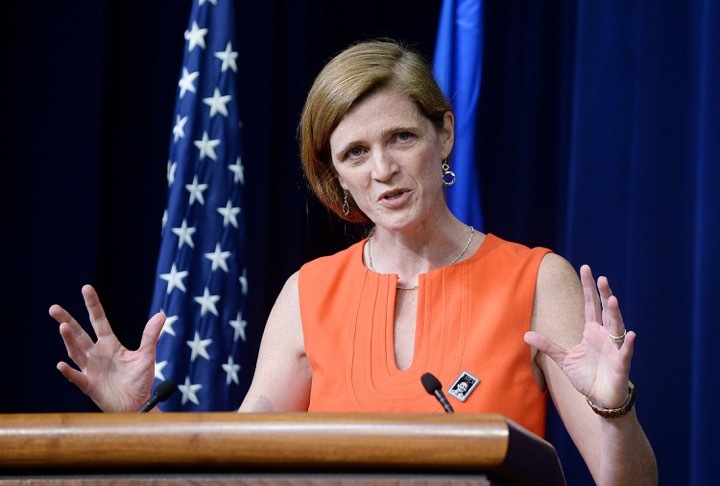 Samantha Power, former United States ambassador to the United Nations, will speak at Northwestern on Oct. 2 as part of the Contemporary Thought Speaker Series. The event, co-hosted by CTSS, Global Engagement Summit and the Department of Political Science, will be held at Ryan Family Auditorium in Technological Institute. Political science Prof. Wendy Pearlman will moderate the conversation with Power, CTSS chairman Ben Zimmermann said. During her time with the Obama administration, Power focused on women’s rights, religious minorities, refugees, human rights and foreign policy, among other things. Power is now a professor at both Harvard Law School and the university’s Kennedy School of Government. Admission to the event is free to students, faculty and staff. Tickets will be made available online through Eventbrite, according to a news release.